[ My Miniature Car Collection (57). 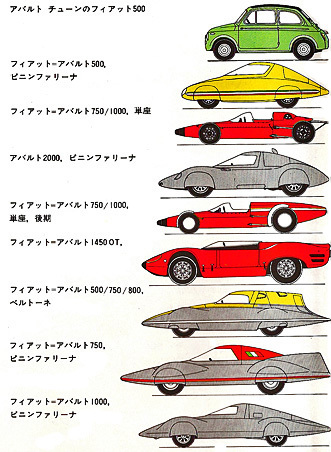 Fiat Abarth Record-Breakers] : CITROEN DS 23 の整備と解説(DS-BOOK) & A MINIATURE CAR COLLECTION. 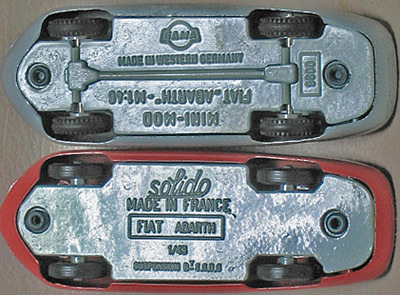 ◆ Solido : Fiat ABARTH "Monza"-Record. No. 113. 1960. ◆ GAMA : (made in Western Germany).(MINI-MOD.). 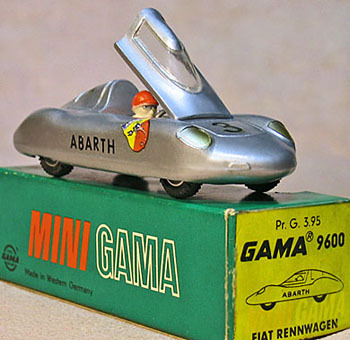 Fiat-ABARTH-RENNWAGEN. No. 9600. 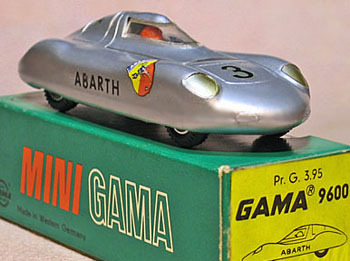 ★ Piccolina: You can find a good Abarth-Record-Breaker-models.← click or search Abarth Record-Breaker in "goo".